"This is the first gun you have access to in Grand Theft Auto: Gettysburg." That's just one of the endless jokes made on social media in response to a vintage-looking gun Baltimore police confiscated earlier this week. 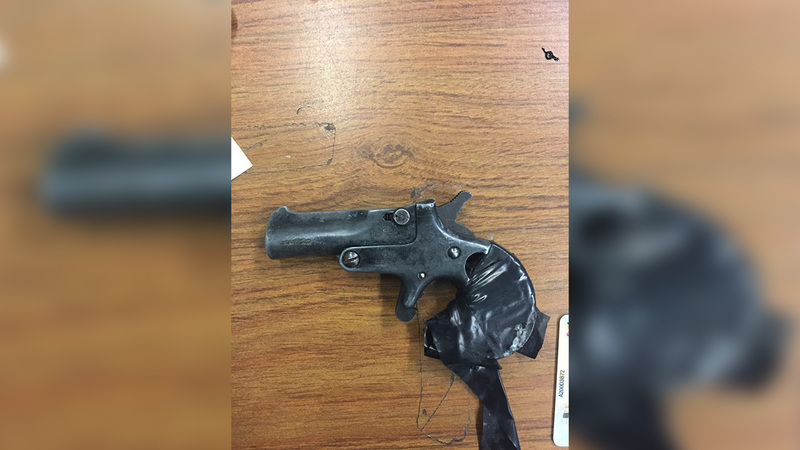 Police recovered the loaded handgun during a traffic stop and posted a picture on the department's Facebook page. People were quick to notice the gun looked like it came from a different era. "If it pleases the Peasants, brave Constables wish to inform us they have apprehended a young rapscallion armed with a pepperbox whilst operating his horseless carriage," one user joked. "I was under the impression that John Wilkes Booth was no longer alive," another mused. Clever comments have racked up thousands of likes and the post itself has been shared more than 100,000 times. "Geez people, cut the guy some slack. He's survived polio, the plague, and the civil war. He needs this gun to begin his new life on the wild frontier," one Facebook user commented. To read all of the hilarious comments, click here.